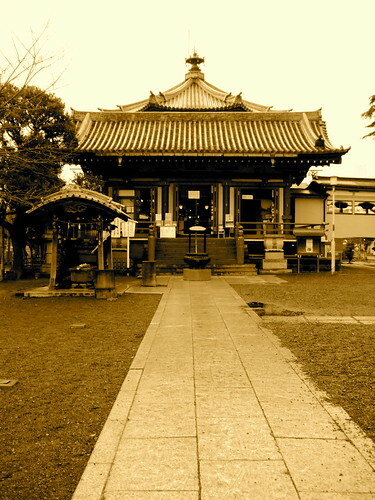 Benten-do temple is one of my favorite spots in Ueno Koen. 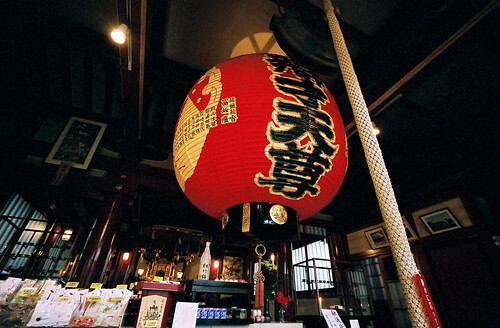 Dedicated to Benten, the patron goddess of the arts, the main hall is located on an island. And indeed, while I was there, I saw a really arty looking student come to the shrine to pay her respects. All respect to the arts, yo! The most awesome monks of Benten-do allowed me to take a few photos of this enormous hanging lantern inside the temple hall. 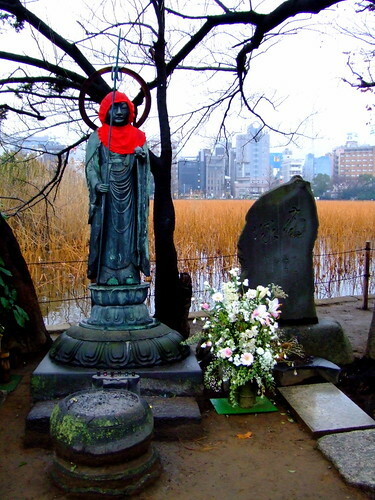 Not sure whether this is a Jizo figure, or some other Buddhist icon, but it’s very picturesque in its red hood, standing next to a gorgeous offering of flowers. 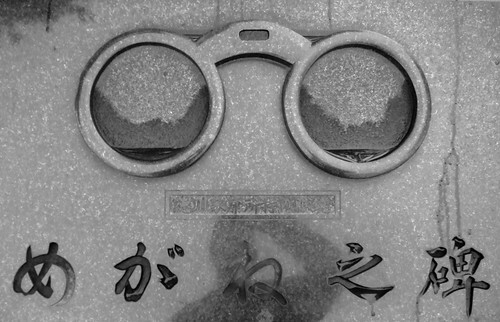 It’s a monument dedicated to glasses! This is why Benten-do Temple is my favorite temple in Ueno Koen. 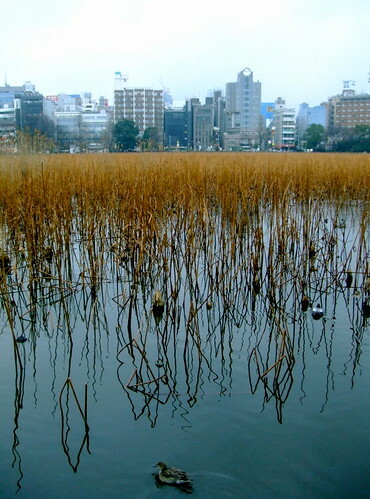 And finally, here’s the view of Tokyo from across Shinobazu Pond.